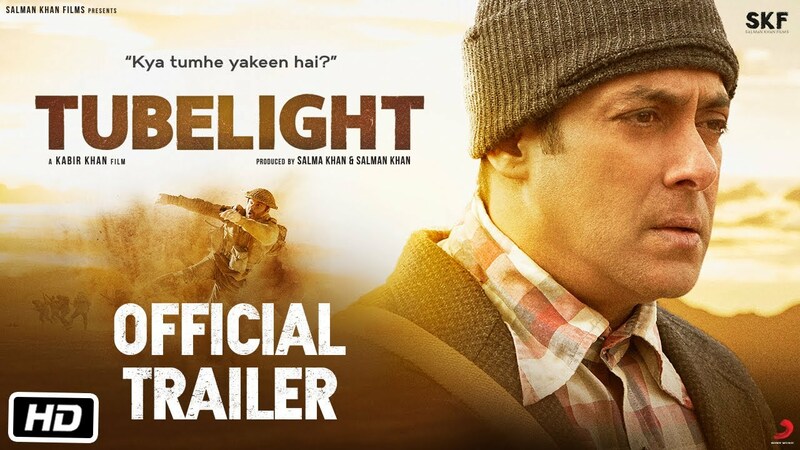 Finally after the teaser the full trailer of Salman Khan's movie Tubelight has been released few hours ago in YouTube channel of Salman Khan films official channel. Talking about the trailer we can see Salman Khan & Sohail Khan in the main lead role where the movie revolves around the time of war. 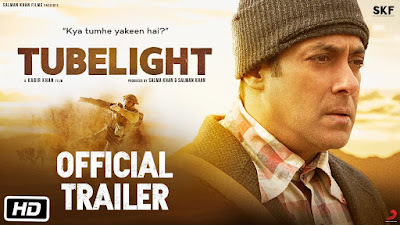 We can also see on the trailer that both khans brother are in the bond of reel brotherhood as well whereas we can see Salman Khan as a abnormal adult brother. But Sohail still loves him and shows his passion toward Salman that we can see on this trailer. The trailer shows somehow that the movie has been inspired from the Hollywood flick 'Little Boy'. And the amazing thing is Sharukh Khan has cameo on this trailer as well, yes yes yes! At 2.08 of the trailer we can see the shadow of king khan on the trailer as well though we can't see the face. Anyway whatever the plot will be Bhai's fan are always excited to see his movies and we hope he wont let down this time either to his fans. The movie 'Tubelight' will be released in this Eid as always Salman's other movies.